Find My iPhone is an amazing feature in all iDevices that keeps your iDevice's information safe in case it is ever lost or stolen. In case the device is lost, Find My iPhone feature can lock the device as well as track it. Unlocking Find My iPhone is possible and there are many ways to do it. If you want to unlock find my iPhone without knowing the Apple ID and password, then it is recommended that you use iMyFone LockWiper. LockWiper is a professional iCloud account removal tool that can quickly unlock Find My iPhone. Apart from this, LockWiper is also a powerful iDevice screen lock removal tool and is capable of removing any kind of lock screen. Unlock Find My iPhone from activated iPhone with ease. You don't need to provide Apple ID or password. After Find My iPhone unlock, you are assured that the previous owner of the device won't be able to track your iDevice. You can use your own iCloud account in your iPhone without issues after the removal of Find My iPhone. Powerful iDevice lock screen unlocking. It can bypass/remove all types of iDevice screen locks, including Touch ID, 4-6-digit passcode and Face ID. Note: iMyFone LockWiper cannot remove iCloud Activation Lock, it can only work for activated iPhone. Step 1. Connect your iPhone to your computer. Make sure the device is detected by your computer. Step 2. 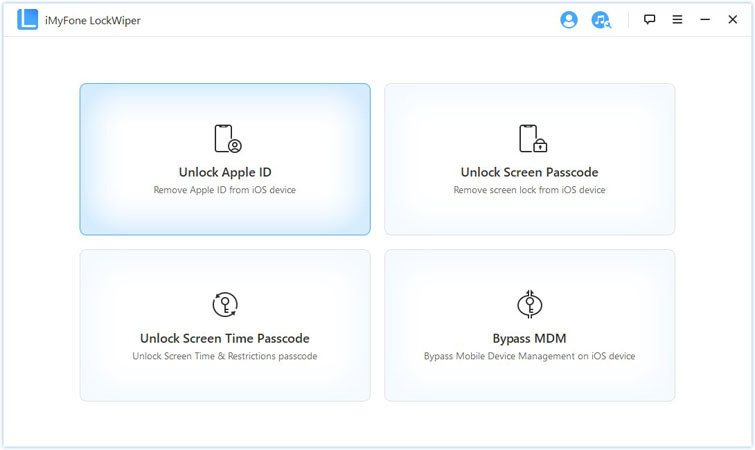 Launch iMyFone LockWiper and click on 'Unlock Apple ID' from the main interface of the software. Step 3. Click on the 'Start to Unlock' button displayed on the next screen. LockWiper will start the Find My iPhone unlock process. Once the process is completed, you can link the iPhone to your own iCloud account without any issues. Find My iPhone unlocking requires you to provide Apple ID and password which was used to activate this feature. If you forgot Apple ID password, then you will first need to find it back so you can use it to unlock Find My iPhone. Resetting the password is easier as long as you know the email address associated with your Apple ID. 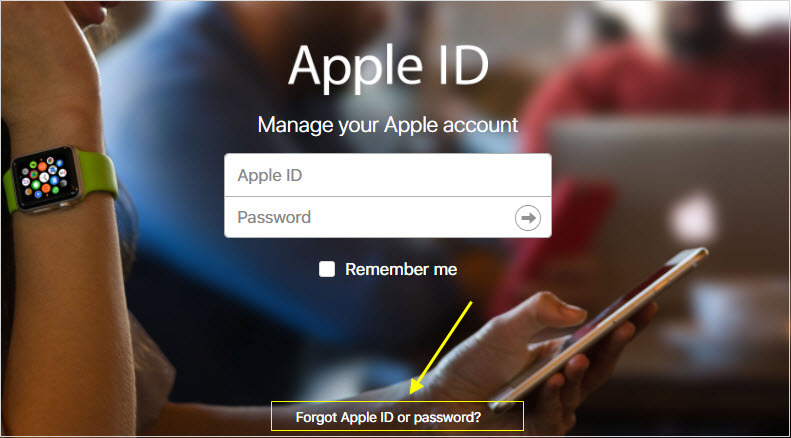 Visit your Apple ID account page and on the login screen, click on "Forgot Apple ID or password". Input your Apple ID and then choose a method to reset your password. It is recommended that you select 'Answer security questions' method and then click Continue. Now follow the on-screen instructions to answer the security questions. Your Apple ID password will be reset. You can then use the new password for Find My iPhone unlock. If you have purchased a second-hand iPhone and it is linked with Apple ID account of the previous owner, then you will need to contact the previous owner and ask them to remove the device from Find My iPhone. 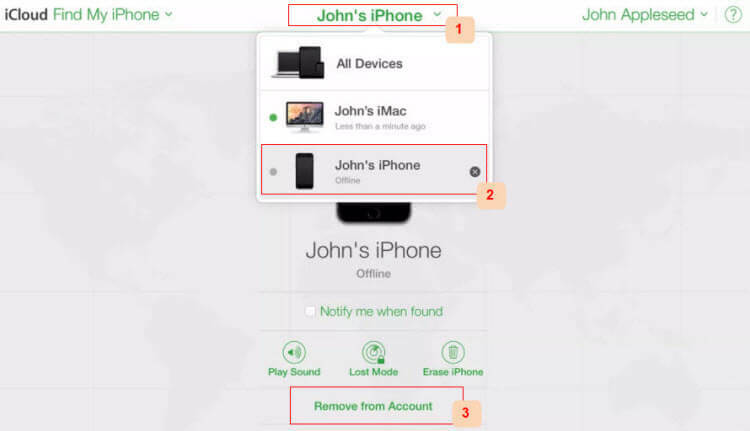 If you cannot physically contact the previous owner of the device, then you will need to ask them to remotely remove your iPhone from their All Devices section of Find My iPhone. 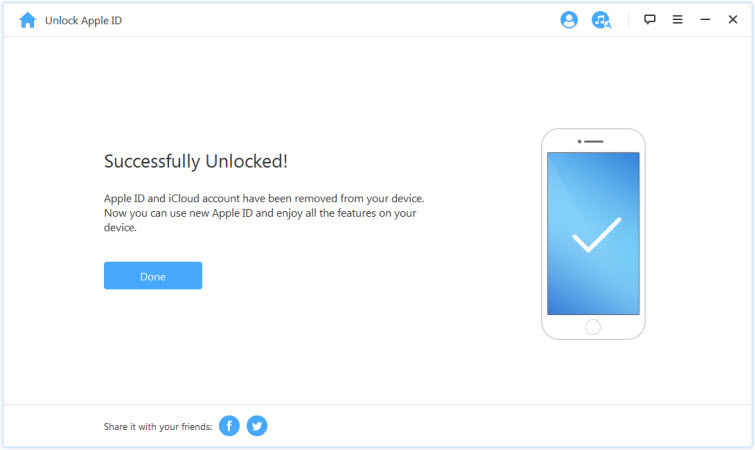 Log in to iCloud.com with their Apple ID. Navigate to Find My iPhone > All Devices. Choose your iPhone from the list of devices and click Erase [device]. Then click on 'Remove from Account' option. Find My iPhone unlocking can be a bit challenging if you don't know the Apple ID password. Fortunately, there are several ways to unlock Find My iPhone. If you forgot the password, you can reset it and then use the new password to unlock Find My iPhone. 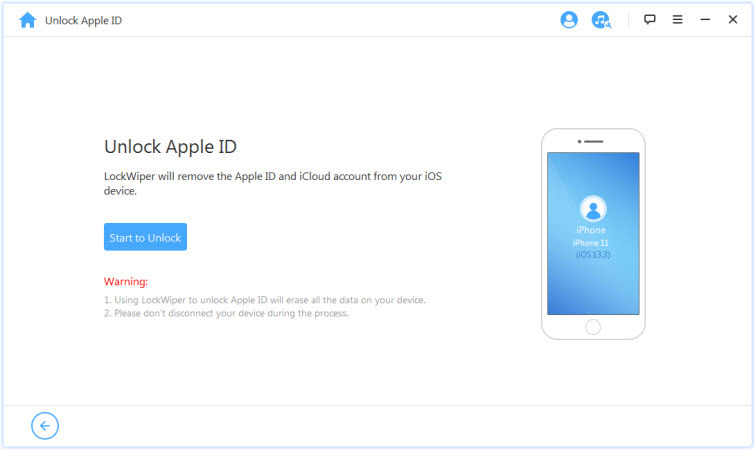 If the device is linked to previous owner's Apple ID, then you will need to contact the previous owner for help. If you want to remove iCloud account from your iDevice, then it is recommended that you use iMyFone LockWiper.